Explore points of interest around Marrakech with the flexibility of private transportation. Visit the stunning Ouzoud Falls, spend time in coastal Essaouira, and hike in Imlil. Arrive at your leisure and make your way to your accommodations. Overnight in Marrakech. 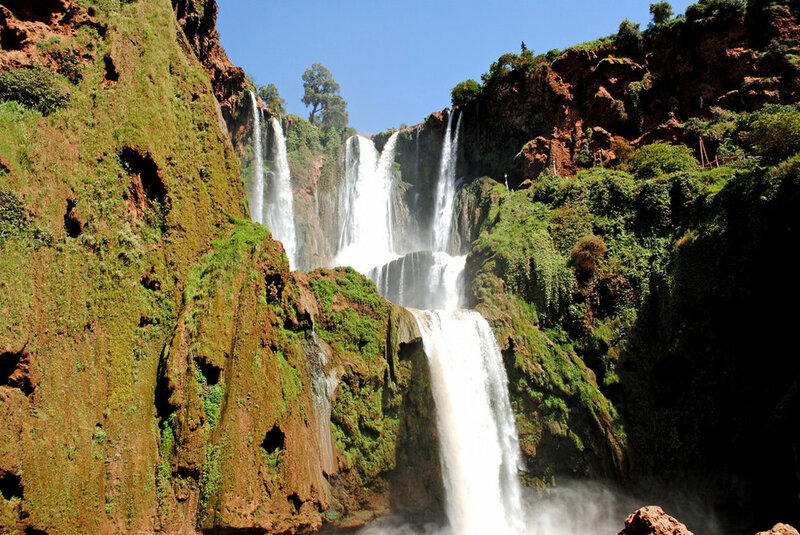 After breakfast, your driver will pick you up for a day trip into the Atlas Mountains to the stunning Ouzoud Falls. Return to Marrakech in the afternoon. Meet your driver once more after breakfast for a day trip to the coastal town of Essaouira. If you are lucky, you will spot the goats that climb the argan trees along the way. Spend the day exploring the charming oceanside medina, stroll down the beach, and enjoy fresh seafood. Return to Marrakech in the evening. Depart once more after breakfast for a day trip, returning to the Atlas Mountains to visit Imlil and Oukaimeden. Hike with a private guide, find the ancient rock art that date back millenia, and enjoy lunch with a local Berber family. Return to Marrakech in the afternoon.